In a big bowl: add gram flour, curd, ginger, green chilli paste, turmeric powder and salt to taste. Mix all properly, ensure that there are no lumps in the batter. Turn on the heat and put a thick pan over it, let the pan heat. Pour the batter into the pan and stir it continuously. Cook first five minutes on low heat, increase the heat and cook it for another five minutes on medium heat, keep stirring. Lower the heat and cook it for ten minutes on low heat, keep stirring. Meanwhile grease backside of two steel plates with oil and keep it aside. To test the batter consistency, put a little portion of cooked batter on the greased steel plate. Spread it and leave it for 2-3 minutes. If it rolls properly then batter is ready. Turn off the heat and stir the cooked batter. Put one ladle(serving spoon) of batter on a grease plate immediately after turning off the heat. Spread the batter equally in all direction using flat spoon, spread it faster otherwise it will turn into lumps. Leave it for 5-7 minutes, Cut using knife in straight line. 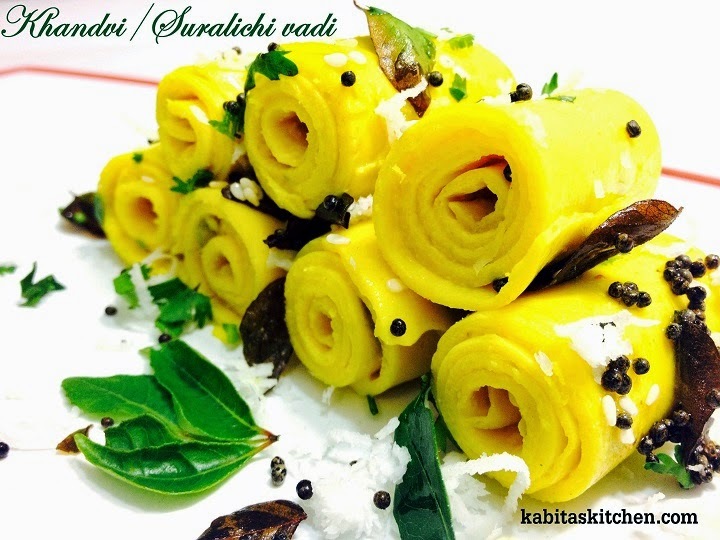 Roll it one by one in one direction, khandvi is ready for tadka. For tadka: heat a tadka spoon, add 1 tbsp cooking oil and let the oil heat. Add mustard seeds, add curry leaves and fry it for 20 seconds. 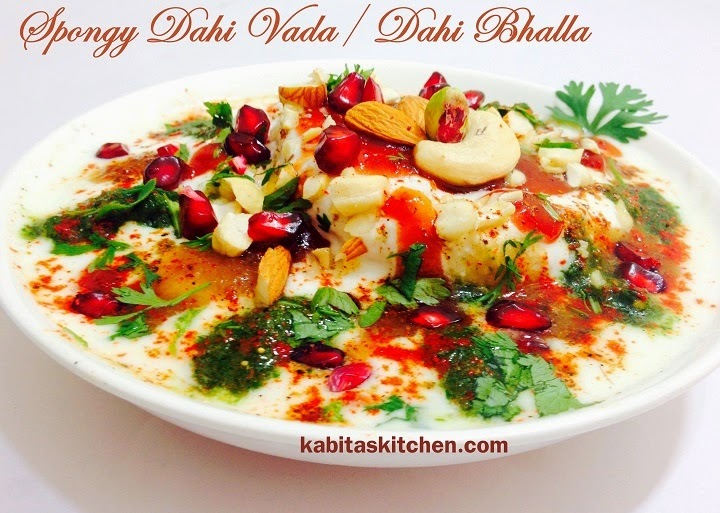 Turn off the heat and put the tadka over the khandvi. Garnish with sesame seeds, fresh coconut and coriander leaves. Soak the urad dal for 12 hrs. 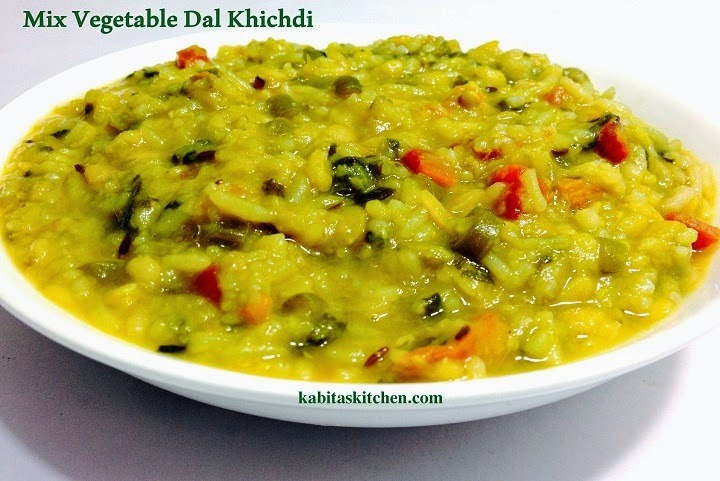 Blend the soaked urad dal into thick smooth paste, add little water while blending. Add garlic, chilli paste and 1 tsp salt into the batter and mix it properly. Cut the bread slices into round shape using steel glass or anything else. Add 1/2 tsp salt into the curd and whisk it well, keep it aside. Turn on the flame and put a pan for frying, let the pan heat first. Add sufficient oil into the pan and let the oil heat. Turn on the other stove of the gas and heat a glass of water, put 1/2 tsp salt into water. Drop a pinch of batter into the hot oil to check the temperature of oil. Coat the round shaped bread slice with the urad dal batter properly and put it into the oil carefully. On the other side, when the water starts boiling, turn off the flame. Fry the vada on low heat till it turns brown (flip it in between). Take it out on kitchen towel to absorb extra oil from the vada. Make small holes into the vada using fork or toothpick. Put the fried vada into the hot salty water and leave it for five minutes. Squeeze it gently on your palms and put it into the curd/yoghurt. Place the vada gently in a serving plate along with the curd. Add green chutney, tamarind juice and tomato ketchup on it. Sprinkle little salt, roasted masala powder, chat masala powder and red chilli powder on it. Decorate with chopped dry fruits, pomegranate seeds and coriander leaves. Heat a pan and put a heart shape cookies cutter on it. Crack the egg on the heart shape cutter(cook it on slow heat). Sprinkle little salt on the egg. After 1 minute, flip it to cook other side. Take out the cooked egg in a plate and cut the corners and shape it. Saute green peas by adding turmeric powder, red chilli powder and salt. 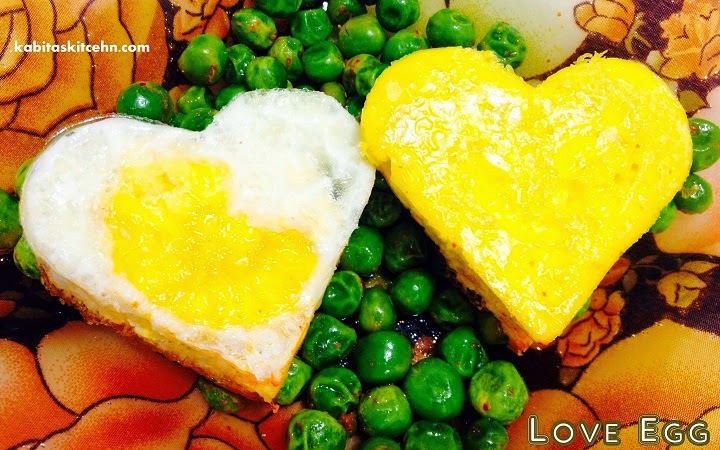 Serve the saute green peas in a plate and put the heart shapes egg on it. Turn on the heat and put a pressure cooker on it, Let the cooker heat. Add ghee into the pan and let the ghee heat. Add hing, cumin seeds and chopped garlic into the hot ghee and fry it for few seconds. Add chopped onions and fry it till it turns light brown. Add chopped green beans, chopped carrot and chopped bottle gourd and fry it for 3-4 minutes(cover the pan without whistle). Add chopped spinach, chopped tomato and cook it for another minute(cover the pan). Add washed moong dal, washed toor dal and washed rice into the fried vegetables. Add two glass of water(or as per your measurement), turmeric powder and salt to taste. Stir it properly, close the lid of cooker and cook it for four whistle(2 whistle on medium heat and two on high heat). After four whistle, turn off the heat and let the pressure cooker cool down. Open the cooker and the khichdi is ready to serve. For infants, blend it or grind it. Crush the javitri, laung, black cardamom and cinnamon stick together and keep it aside. Crush the coriander seeds and cumin seeds and keep it aside. Crush half of the garlic (25 grams) cloves and whole chopped ginger. Turn on the flame and heat a pan, add mustard oil into the pan and let it heat. Add bay leaves, dry red chilli into the hot oil and fry it for 5-7 seconds. Add cumin seeds and let it crackle, add crushed coriander seeds and crushed black pepper into the pan. Add crushed garam masala (dalchini, laung,elaichi,javitri) and fry it for a minute. Add whole garlic cloves and onion pieces and fry it for one more minute. Add crushed garlic and crushed ginger and fry it for 1-2 minute on medium heat. Add turmeric powder and red chilli powder and mix it with other fried spices. Add chopped onions and 1 tsp salt together and fry the onions till it turns light brown on medium heat(cover the pan). 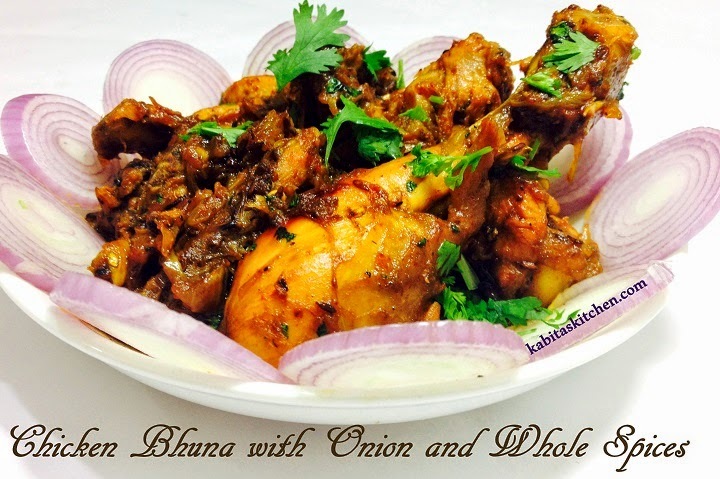 When the onions get half cooked(it has turned light brown), add chicken and salt to taste and mix it properly with onions and other spices. Cover the pan and cook it for 30-35 minutes on medium heat or low heat (Stir in between to prevent burn). After thirty minutes, add chopped coriander leaves and turn off the heat. Ready to serve with Paratha, chapati or roti. Soak the Urad dal for about 6-8 hrs and soak the rice for about an hour. Put the soaked urad dal and rice together in a blending jar and add food colour. Add 1/4 cup of water in the blender and blend it into a thick smooth paste. Take any soft plain plastic bag or cloth (I used milk packet), fill 1/3 of the bag with batter. Bring the edges together and put a elastic rubber to seal it from one side, make the shape of plastic bag like a mehndi cone. Make a very small hole by cutting the cloth or plastic, check the flow of batter. Heat a pan and put the sugar in it, add 2 cup of water and let it boil. Add lemon slices in the sugar syrup for nice colour and rich taste of syrup. Remove the lemon slices when the sugar starts becoming thick. Boil it on medium flame and keep stirring till it reaches single thread consistency. Heat a frying pan and add sufficient oil or ghee into the pan, let the oil heat. Hold tightly and press the batter through the hole into the hot oil. Make a small circle, in the same consistency/flow make two or three small circles inside the first circle. Fry it on slow heat, Flip it to fry other side. Deep fry on both the sides till it turns crisp and light golden brown. 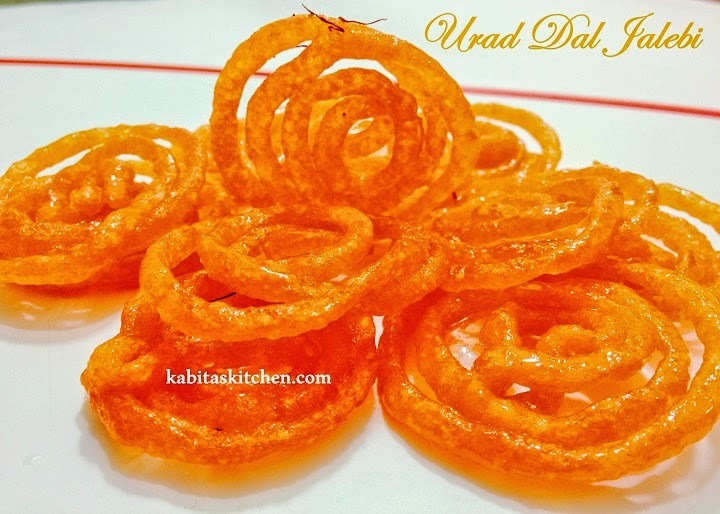 Drain the oil from hot jalebi and dip it into the sugar syrup immediately. Remember:Sugar syrup must be hot (put on flame on low heat if needed). Dip the jalebi into the hot sugar syrup properly for 3-4 minutes. Take out in a plate and serve hot.